In this collection of her “soul space” writings, she shares her poignant sorrow from the death of her husband, while revealing deep insights of self-compassion, strength, and hope. As her thoughts unfold, you will feel Cheryl encouraging you to nurture your own insights, open your broken heart to the possibility of joy, even entertain fresh adventure as you journey through your own process of grief. The path to healing need not be lonely in the presence of such a companion. The book is well designed, well written, and really stood out from all the other entries in the spiritual category.While most focus on Christianity, Ms. Eckl is all-inclusive and subtle. She gently guides her readers through their grief, by offering up her own experience and insights from her healing process. It’s a lovely book that will both nurture and inspire those experiencing the loss of a loved one, but it would also appeal to anyone, as everyone knows someone experiencing grief. The author is to be commended for her spare eloquence. She makes it seem easy, but it is the selection of details, the zen-like approach, and the completion of thoughts that makes this book a standout. It’s an ideal format in that someone can pick it up and read one or two chapters relevant to their own process and go back again and again for reinforcement or to find sections that relate to where they are in the process. I’d definitely give this to anyone I knew who was in a period of grief. 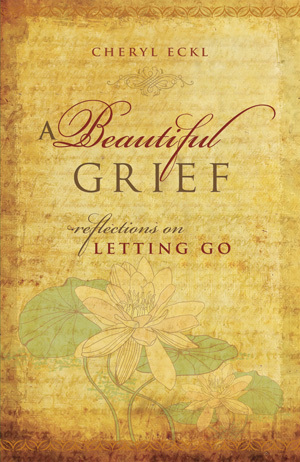 A Beautiful Grief: Reflections on Letting Go is a prize-winning book written expressly to offer comfort and solace to those experiencing grief from the loss of a loved one. Author Cheryl Eckl shares her personal sorrow of losing her beloved husband to colon cancer, and teaches the reader how to “love our way through to grief’s natural conclusion”, understanding the power of renewal, acceptance, and hope in moments of great despair. Empathic and compassionate, A Beautiful Grief is highly recommended.